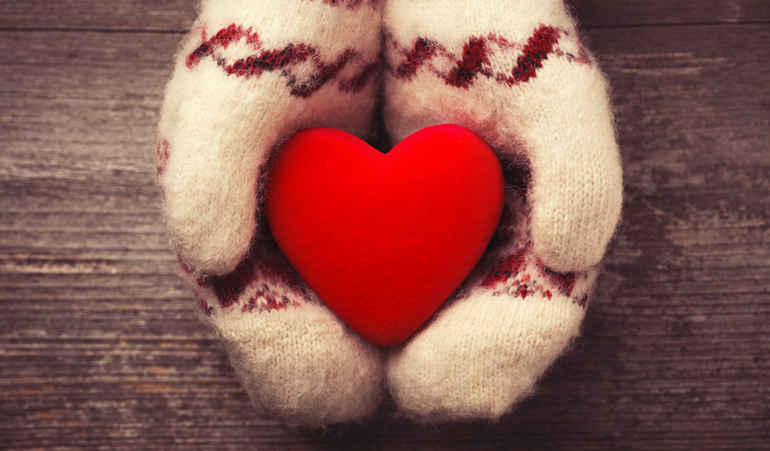 Each year, we search for companies that donate proceeds to charities that support adoption, children, or families. Choose a gift for your child or loved ones from the merchants highlighted below and your purchase will benefit children and families around the world. Start your holiday shopping with these generous holiday merchants. Everyone needs something to snuggle. 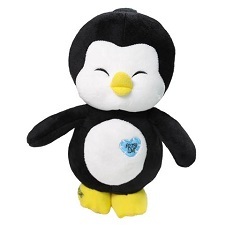 This easy-to-hug Penguin Pal ($20) can comfort your loved one, and raises funds for luggage, bikes, and scholarships for children in foster care. We all have a friend or relative who is obsessed with Harry Potter. 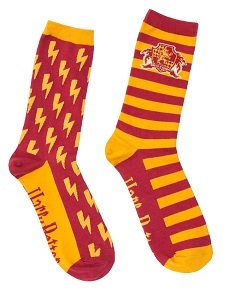 Tuck these Gryffindor socks ($12) into their stocking this year, and tell them the sorting hat has spoken. Each purchase helps support literacy programs for communities in need. Noonday works with artisans in vulnerable communities to develop beautiful products that are sustainably sourced. 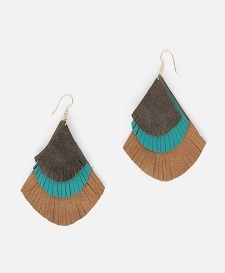 Drop these Feathered Earrings ($36) into your loved one’s stocking, and know you are supporting leather craft in India. Or, host a Trunk Show. 10% of all profits help adopting families bring their children home, and hosts receive 50% off four accessories as thanks for making a difference. Pack the Holiday Duo ($40)–a Cinnamon Cedar candle and room spray–in your suitcase for your holiday travels. It’s a hostess gift anyone will love. 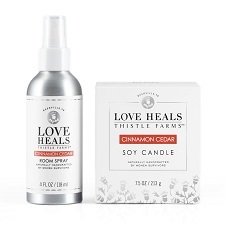 Part of the Love Heals collection, each purchase helps provide jobs for American women survivors of trafficking, prostitution, and addiction. Warm someone’s home and your heart. 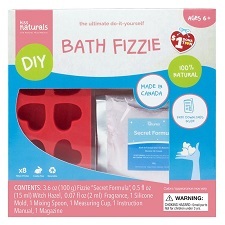 Gift the budding crafter in your life a DIY Kit to make Bath Fizzies, Lip Balm, Lip Gloss or Glycerin Soap. Each set is priced under $20, and donates $1 from all purchases to support children and families in need. 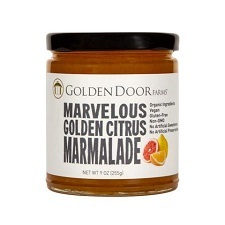 Brighten a cold winter’s day with a taste of someplace tropical when you gift Golden Door’s Marvelous Golden Citrus Marmalade ($18). 100% of net profits are donated to charities dedicated to ending child abuse and neglect, to improving young lives. Build your own 3-popcorn snack box ($39) tailored to your loved one’s tastes with fun flavors like In a Caramel Nutshell (caramel-glazed almonds, cashews, peanuts) and In Queso Fire (garlic, onion, and jalapeño). There’s something to satisfy a salt lover and sweet tooth. 50 cents of every dollar spent helps kids with special needs participate in extracurriculars and sports. 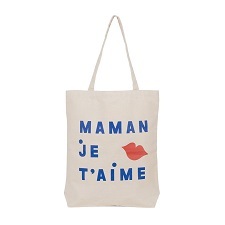 Everyone needs a canvas tote bag – for groceries, gym clothes, or purse overflow. 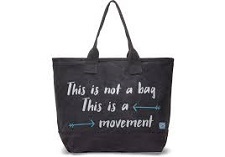 Gift the CV x Every Mother Counts bag ($45) to the woman who has everything, just not a bag to keep it in. 100% of proceeds are dedicated to making pregnancy and childbirth safer for moms around the world. 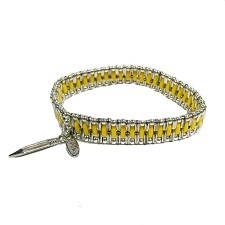 Share a little sunshine when you gift the bright yellow Dream bracelet ($48). The pop of color, along with a tiny pencil charm, represents the 20% of proceeds dedicated to making school more accessible for kids in regions without stable education systems. 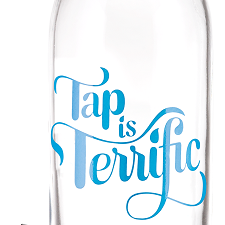 Order a glass, reusable water bottle ($12.50) for your eco-conscious loved one who is trying to eliminate single-use plastic from his life. He’ll stay hydrated through cold and flu season, and you’ll know that 2.5% of your purchase went towards providing access to clean water in India. 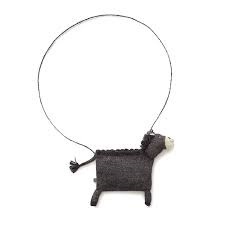 Each year, the Christopher Radko Company creates a special Celebrate Adoption Ornament. Sales benefit the Dave Thomas Foundation for Adoption, which works to increase awareness of foster adoption. 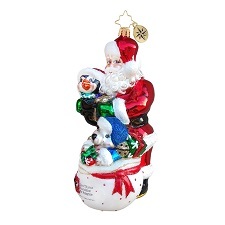 This year’s hand-blown glass collectible ($60) features Santa holding a penguin and a bag of gifts. 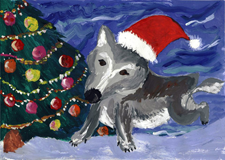 One-hundred percent of the proceeds from the Orphan Artwork Holiday Cards or Gift Tags ($3.95-$15.95), featuring collages and paintings created by Russian orphans, fund camps for the children through Faces of Siberia. This Christmas, open a dialogue about how and why your child was adopted with the Boodles “Being Adopted” Gift Set ($35), Written by the founder of Noodle & Boo, adoptive mom Christine Burger, Being adopted is super-duper special! 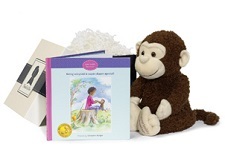 will get your family talking, and Boodles the stuffed monkey will give your little one something to snuggle long after story time is over. 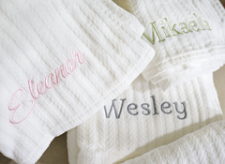 Keep the newest little one in the family warm and cozy with a Swell Forever Blanket ($45-$99) – personalized with name, birth and adoption dates. For each purchased, Swell donates to a fund that helps families offset adoption costs. 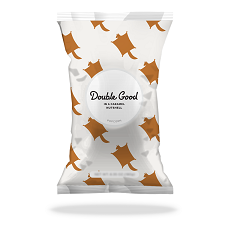 Fill your loved one’s stocking with a special treat that’s a little healthier than the traditional marshmallow snowman–Cashews, roasted with a spark of spices ($12.99 for two). 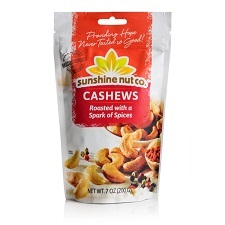 Sunshine Nuts employs primarily adult orphans, and directs 30 percent of proceeds to orphanages, and another 30 percent to initiatives like community education, vaccinations, and medical/dental care. That’s a snack that is good for the waistline and the heart. The Doll Kind’s stuffed toys ($59) are soft, huggable playthings that give back, and empower children to share kindness with others. Each doll comes with 10 tokens to hand out, each with a special phrase designed to encourage passing along love and gratitude. For every doll that’s purchased, The Doll Kind donates another to a child in need of a smile due to illness or hardship in orphanages, hospitals, and shelters around the world. Don’t leave your furry friend off of your holiday shopping list! All year round, your pup gives you affection and snuggles. 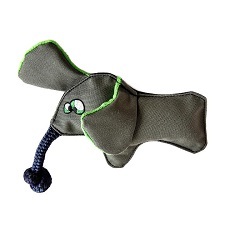 Now it’s time to return the love – with the WO Wild Elephant dog toy ($18). It has a built in squeaker, and rope “trunk” that’s perfect for tug or fetch. For every purchase, two meals are given to an orphan or widow in Ethiopia via Bring Love In. Everyone has heard of the TOMS one-for-one shoe program, but what if your loved one doesn’t care for espadrilles? For each bag purchased ($58-$168), TOMS will provide safe birth materials and training to help reduce maternal infection and newborn death. 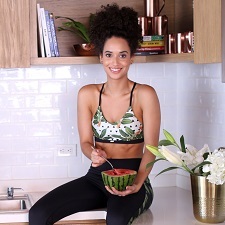 “Underwear…again?” Stifle those internal groans, because with each eco-conscious bra, bodysuit, or cheeky knickers ($22-$52) purchase from Naja, you’ll be helping a single mother or female head of household. In addition, the company pays for books, school supplies, uniforms, and school meals for all of its garment workers’ children. If your holiday gift tradition is new pajamas for the whole family, look no further than the MYA Punjammies ($49). Every purchase – of shorts, tops, or pants available for men or women – helps women and children who are survivors of or at risk for human trafficking. 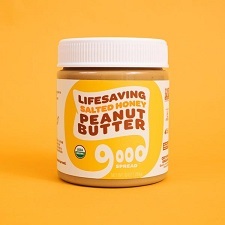 For the foodie who has everything, give the gift of sustainably-produced, lifesaving organic peanut butter ($8), available in salted honey, chocolate pretzel, honey banana, and unsweetened. For each jar purchased, Good Spread donates MANA, a ready-to-use fortified peanut butter-based medicine used to treat malnourished children. Every product has a unique tracking code, so you can see exactly where the help is headed. Give the little one in your family a Mini Kane backpack – for school textbooks or trips to Grandmother’s house – and another American child in need will receive a bag filled with all the supplies they need to succeed at school. Get one, give one. Deck the halls (and your loved one’s walls) with an art print from ImPaper (starting at $10). Each frameable image donates a specific item, like a powdered milk sachet, five anti-malaria pills, five tetanus vaccines, two pencils and a book for a child, or four meals to those in need. Choose by image or by cause. Instead of sticking lottery tickets in your holiday cards this year, buy a pack of Win for Good! 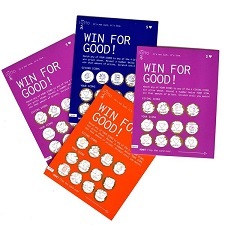 scratch offs with a social mission ($10 each, greeting card included). The recipient will experience the joy of giving one to three weeks of clean water, one to four months of solar light, sets of literacy tools, or nutritious meals, all with a few rubs of a coin. Every ticket is a winner! And those are pretty good odds. Give a bedtime story to the youngster who is anxiously awaiting Santa’s arrival. 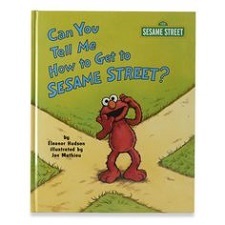 For each Can You Tell Me How to Get to Sesame Street? Book ($5) purchased, Kohl’s donates 100 percent of the net profit to support children’s initiatives nationwide. We all have that friend or family member, whose phone battery is always dead. This year, you can make sure he always has juice with the WakaWaka Power+ solar powered charger and flashlight ($69.99). 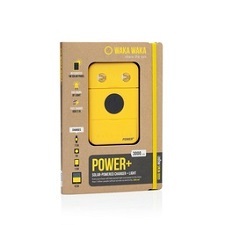 For every purchase, a WakaWaka light is donated to The International Rescue Committee to aid families living without electricity. The included Give Code lets your loved one select where in the world the light should go – and that’s a bright idea! 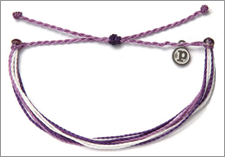 For your loved one who tries to live each moment of life to its fullest–a part of the Pura Vida philosophy–purchase the Adoption Awareness Bracelet ($5). Hand-made in Costa Rica, each purchase donates $1 to the Kinship Center to support families formed through adoption. Gift a good morning, relaxing over a steaming cup of joe, to your favorite caffeine-lover. After adopting from Ethiopia, Rob and Emily Webb were staggered by the expenses, which they knew put it out of the reach of many prospective parents. 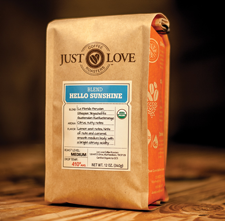 Your purchase of the Hello Sunshine Blend ($13.95) will help them provide adoption assistance to hopeful families-to-be. 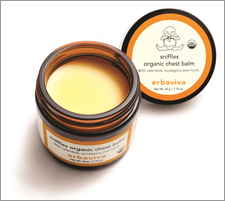 Help your loved one with a new baby avoid illness this cold season with the Sniffles Baby Chest Balm ($20). The organic, natural alternative will relax and soothe, and boost immune response. Erbaviva supports the BlinkNow Foundation, founder of the Kopila Valley Children’s Home and School, in Nepal, which houses 50 children and educates more than 350. The Bears for Humanity stuffed toys ($25-$45) are snuggly, cuddly gifts that give back. 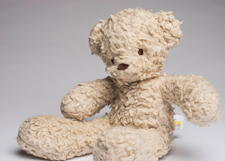 For each bear, lion, monkey, or other plush toy sold throughout the year, Bears for Humanity will donate another to a child in need of a smile due to illness or hardship. The company is committed to building stronger families by giving jobs to at-risk mothers, fathers, and caregivers. Sewn with love in the U.S. Whether it’s a journey to adopt, or an upcoming homeland trip, the jet-setter in your life will love this travel journal ($9) to record every moment. Raven & Lily’s paper products, crafted from recycled paper, benefit artisan women and their families in India who were previously marginalized by gender or poverty. 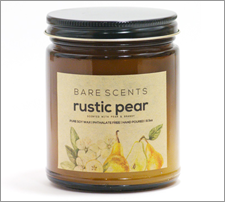 Keep Rustic Pear candles ($21.99) in the closet as last-minute host gifts (or for people you forgot to include on your holiday shopping list). Twenty percent of proceeds are used to fund meals and staff for “carepoints” in Uganda, where children who have lost their parents, or whose parent is unable to fully provide for them, can have a hot meal each day. Your grandma put socks in your stocking every year. But this time around, these striped, polka dotted, and argyle-print toe warmers are a little more exciting—because they have the power to change the world. Each pair of socks ($14.95) benefits one of six partner charities, from Global Citizens to fight poverty to UNAIDS to provide HIV Therapy for expectant mothers. Gift a pack of crayons ($7.99) or colored pencils ($3.49) to the budding artist or crafter in your life. 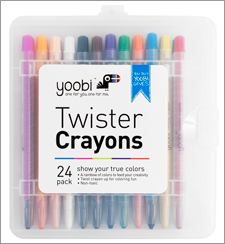 For each item purchased, Yoobi will donate an item to an underserved classroom in the United States so that more children can experience the joy of learning and creativity. It’s the quintessential hostess gift when visiting friends or family during the holiday season—a nice bottle of wine with a thoughtful snack pairing. 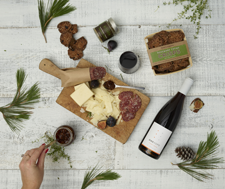 OneHope takes the guesswork out of picking the perfect vino with this gift box ($69) that includes a Cabernet Sauvignon or Pinot Noir, and a selection of crackers and spreads. Each purchase funds ABA therapy for children with autism. When children experience hard times at a young age—in foster care, from illness, or an unhappy first home—it can “cut their wings.” My Wings wants to restore playfulness and a little joy for kids who’ve come through on the other side of tough experiences. 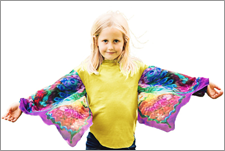 Each shirt with attached wings ($39) transforms a child into a butterfly, a magical fairy, or a mighty dragon. Then, through Giving Wings, a child with special needs will receive a shirt to help in their healing recovery—and to soar in life.. Encourage the feminist of your family to lift up other girls with her fashion choices by giving the Dream Builder Bracelet ($30). 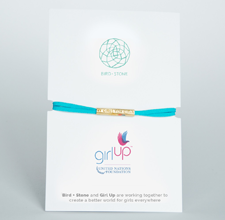 Bird + Stone partnered with Girl Up to donate $3 of each purchase to help protect girls around the world from gender-based violence, attend school, and become leaders in their communities. 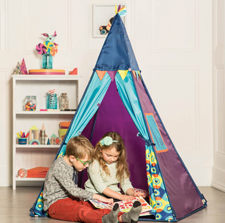 You can give your little loved one a night under the stars, even in the middle of winter, with the B. Teepee ($39.99), sold at Target and specialty stores. Pulling the cord inside the tent sets off a colorful light show, as starts are projected all around. 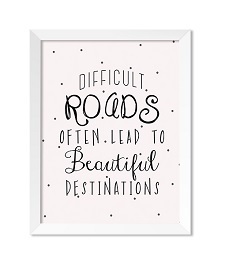 A portion of every sale goes to Free the Children, an organization dedicated to helping children out of poverty with education around the world. The Jockey Being Family Bear ($10) is an adorable gift that gives back. For each bear sold throughout the year, Jockey will donate $5 to the Jockey Being Family Foundation, which supports post-adoption efforts. Alex and Ani give 20 percent of each purchase of their Little Brown Bear Bangle to the Child Mind Institute, an organization dedicated to transforming mental health care for children everywhere. 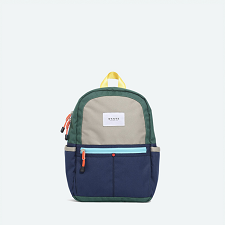 Each sturdy canvas backpack, tote bag, or purse purchased from Stone & Cloth generates a donation to the Knock Foundation that will cover 25 hours of classroom learning for kids in the developing world. Need something sweet to fill out that stocking? Pick up some of Project 7’s mints and gum in flavors from chocolate cinnamon to grapefruit melon (prices vary). Each purchase benefits one of seven causes: feeding the hungry, providing clean drinking water, planting trees, housing the homeless, providing malaria treatment, supporting school education in developing nations, and funding anti-bullying programs. Each hand-crocheted item helps provide a job, education, and mentor to lift women in Uganda and Peru out of poverty and build a sustainable career path for the future. Choose an adorable hat to keep your little one warm—and be sure to check the tag, as each item is signed by the woman who crocheted it. Fifty percent of every purchase from Laughing Man Coffee and Tea (their online store or their coffee shop in downtown New York City) goes back to Laughing Man Worldwide—founded by adoptive father Hugh Jackman to support educational and business development initiatives. For $12.99 for a 16-count box, give friends Dukale’s blend coffee to enjoy during the cold months ahead. Give the trend-setter on your list the Sheebani metallic temporary tattoo set. 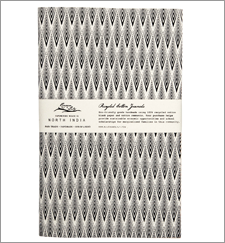 Flash Tattoos named the set after the orphan who inspired the creation of The Miracle Foundation, which seeks to revolutionize orphanage care in India, and donates five percent of each purchase to the foundation. MiiR offers insulated water bottles, growlers, and bicycles featuring clean, modern lines in a range of cheerful colors. For each bottle purchased from, one person in need receives clean water. For each bicycle purchased, another is donated. All proceeds from the sales of the Family Tree Bracelet, in smoky quartz, or the Becky Exclusive Bracelets in colors ranging from Turquoise to Fuchsia to Rainbow Pride benefit HelpUsAdopt, a national nonprofit organization that provides grants to hopeful adoptive parents. For every pair of Roma rain boots you gift your family and friends, you get two gifts—one dry, happy loved one, and one brand-new pair stuffed with educational supplies given to a child in need. The classic collection comes in a rainbow of colors and prints. In addition to the donations in kind, 10 percent of all proceeds go to the Roma for All Foundation to help the children break out of poverty and succeed. Customize a His and Hers Go Box for your favorite couple with their favorite grind and roast paired with sunny blue and yellow mugs. GoBena Coffee was founded by parents who adopted their daughter from Ethiopia, and named in honor of the elderly couple who found her and brought her to an orphanage in the hope that she would be adopted. 100 percent of profits help children around the world through a partnership with Lifesong for Orphans. Launched by an adoptive mom, this online store offers sweet cards and gift items, from jewelry to blankets, all celebrating adoption. A percentage of sales supports the Adoption Council of Canada or the Children’s Action Network. This keepsake keychain can show a treasured birth mother that she is always in your hearts. Send an afternoon snack to a loved one with the Sampler Gift Basket, which includes spices, candy, and tea mixes. Each purchase from the Women’s Bean Project helps chronically unemployed and impoverished women learn job, interpersonal, and life skills. Purchasing this whimsical Donkey Purse for your little one can help transform the lives of women and children in Bolivia. All of Ouef’s alpaca knits are produced by a self-managed community of indigenous women. The living wage they receive guarantees schooling and health care for their families. This line of bath, household, and baby products (check out their cute, printed diapers) is all-natural and eco-friendly. The company partners with nonprofits to donate funds, volunteering hours, and Honest products to needy families in the Los Angeles area. Delight your little one with the Baby Arrival Gift Set. This women-owned and operated business donates a portion of proceeds to The Maya Relief Foundation, whose mission is to empower people with solutions to become self-sufficient and “work their way out of poverty, improve their health, and to insure a better future for their children and their communities. Shabby Apple’s clothing and accessories (prices vary) all have a vintage flair. On the front of the handcrafted silver “I Knew I Loved You” medallion, the words “I knew I loved you before I met you” circle a heart, and artist Julie Booras will personalize the back with your child’s name or other short text. The necklace is part of her “Giving Is Good” line, and 25 percent of the sale price is donated to the Dave Thomas Foundation for Adoption. After Heidi and Shane Fausel adopted a nine-year-old boy from foster care, he told them about a drink he’d had once and loved (“It tastes like Christmas”). As their first Christmas together approached, Heidi gave her son a glass of eggnog. He took a sip, jumped up, and shouted, “That’s it! It’s Christmas milk!” Each sale of their signature eggnog or ice cream, which you can find at your local store, helps children in foster care find forever homes. Either one would make a perfect holiday treat for your own family. Thirty-five percent of the price of the Sweet Home Winter Holidays Gift Box, a delectable package of award-winning baked goods, benefits homeless mothers and their children. Adding a charming ornament hand-sewn from African textiles– choose from elephants, zebras, giraffes, or rhinos–to your tree this year will help provide care for children in East Africa. Traditional beadwork meets modern aesthetics in various accessories, handcrafted by skilled Zulu beaders. Proceeds from items like the Thin Wild bracelet support the Thanda After-School Project, which helps orphans and other vulnerable children in rural South Africa. Angel Covers is a volunteer-run organization dedicated to helping orphaned and destitute children around the world. This Folk Painting Coloring Book is the perfect gift for any child, and 100 percent of the proceeds go to support Chinese Orphanages. Divine is the only fair trade chocolate company owned by its cocoa farmers. Each purchase directly supports the Kuapa Kokoo farmer’s co-op in Ghana. The Divine Classics 10-Bar Gift Set, with flavors including dark chocolate with raspberries, orange milk chocolate, and white chocolate with strawberries, is the perfect choice for the chocolate lover on your list. ON THE COVER: Sadie Jane (2, U.S.), daughter of Grace and Jeff, Washington, D.C. Photograph by Kate Del Rio. "After just eight years as father and child, would our bond hold as my son went off to college?" Adoptive Families' annual gift-giving directory presents a selection of heritage .. The uncharted journey of our first Christmas together etched a .. Your newly adopted baby needs a safe, stable environment in ..
Did you celebrate the day you met your child or ..